Looking for a property in Patuli? Have a property in Patuli? 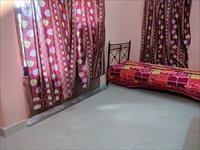 Patuli is a very good location with connectivity benefits. Access to basic amenities is an advantage. Locality is free from theft or other such problems. There is greenery and parks are nearby where you can take morning or evening walk. Patuli, Kolkata is rated 8 out of 10 based on 1 user reviews. Have a good knowledge of Patuli? Share it and become a Locality expert.